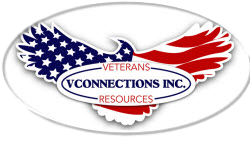 Volunteering with VConnections, Inc. is about giving your time to a great cause. You get to meet and greet heroes and their families who have made great sacrifices to serve our great country. You don't get paid, but you do get the chance to use your talents, develop new skills, and experience the pleasure that comes from making a real difference in other people's lives who live in and around the Southern Maryland region. How Much Time Do You Need to Volunteer? This is really up to you. 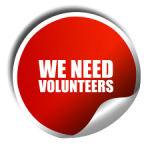 We offer volunteer opportunities that can as little as 2 hours per week or up to 4 or more hours per week. The time you commit to volunteering with VConnections is flexible in most cases. Some positions require little to no experience, and in some cases, you will need previous experience in order to fulfill assignments. Limited training is available for some positions. To get started, you must complete a Volunteer Application. Once the application is reviewed, if you meet the requirements and an opening is available, you will be contacted for an interview. If selected, you must complete an orientation session before starting an assignment. Upcoming opportunities will be listed as they become available. We are in the process of planning several events. Be sure to sign up to receive notice of these events.